Giving a partial bath to a patient is an important aspect of CNA care. Maintaining your patient’s cleanliness is one of the first steps to his recovery and you can also encourage him to do his best to get well by providing this care especially if he is not able to do it on his own. It may not be done on a daily basis as it varies from case to case, but the clean feeling that it leaves your patient will definitely help him to recover faster and to care more about his health. This bath is recommended for patients who have difficulty going from their bed to the bathroom. The first step is to wash your hands thoroughly using the standard handwashing technique for health care providers. After that, greet your patient and tell him why you are there and explain to him the steps that will be taken during the process. This will help him to relax and be more cooperative during the process. 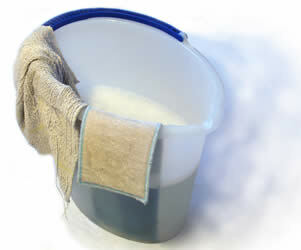 After that, start filling a basin with warm water which will be used for the bathing. Check the temperature by dipping your inner wrist in the water and the ideal temperature is from 105 to 115 degrees. The next step is to prepare the room to provide the patient with sufficient privacy. Pull the curtains down on his windows or close the doors to avoid any untoward incidents. You should also clean the area by removing any unneeded equipment from the bed. After that, ask them to remove their clothes if they are capable or help them out with the process if they cannot. Give them enough independence in this task to their level of ability in order to develop their confidence and independence. Proceed with the bath by cleaning his face with a clean washcloth dipped in the warm basin water. After that, wash his arms, chest, back, belly, legs, and lastly the perineal area. It is recommended that for each of the enumerated body parts, a different washcloth should be used in order to prevent the spread of bacteria and infection. You should also change any wet linen as this could cause infection to spread. After bathing, apply some lotion to the parts where the patient wants them to be applied. This will help him to feel relieved and more refreshed especially if they have any dry parts in the body. Help your patient to dress up after the procedure either lying down or on a sitting position. Allow the patient to do as much as they can when dressing to promote their independence. Dispose of the non-reusable items which were used during the bathing procedure to their proper receptacle and proceed to washing your hands. This is to prevent the spread of any contagious disease or infection. It is important to follow these steps carefully in order to pass a certification exam as well as to provide the best health care services for a patient when you are working as a CNA. A related CNA skill you may need to know is how to give a shower to a seated patient.